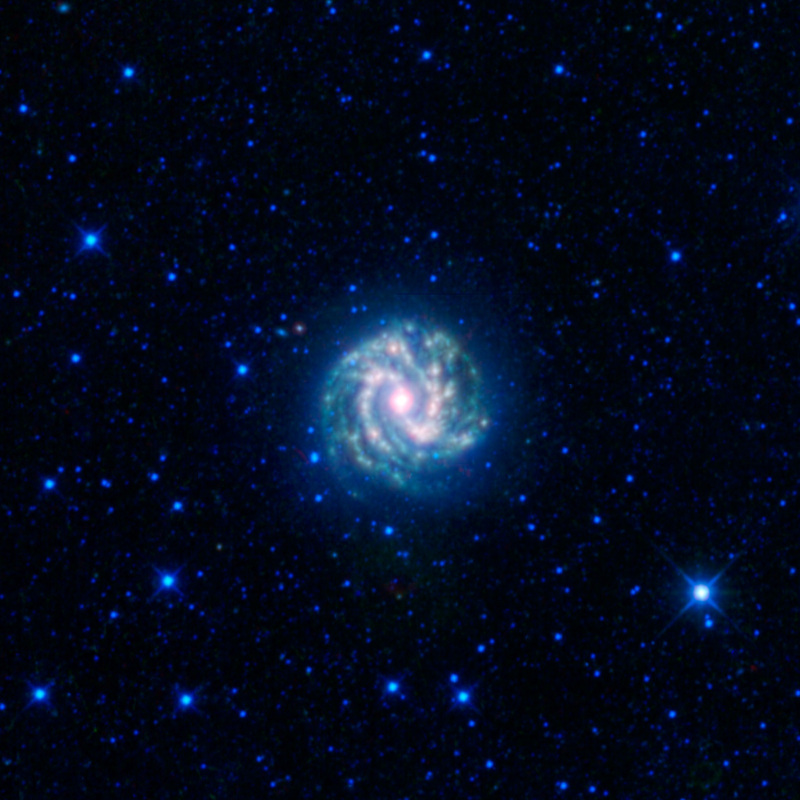 This image from the Wide-field Infrared Survey Explorer (WISE) is of the nearby galaxy Messier 83, or M83 for short. It is a spiral galaxy approximately 15 million light-years away in the constellation Hydra. It is sometimes referred to as the southern Pinwheel galaxy. M101 is called the Pinwheel galaxy and M83 has a similar appearance, but it is located in the southern sky. At about 55,500 light-years across it is a bit more than half the size of the Milky Way Galaxy, but it has a similar overall structure. Like the Milky Way, most of M83’s stars, dust, and gas lie in a thin disk decorated with grand spiral arms. 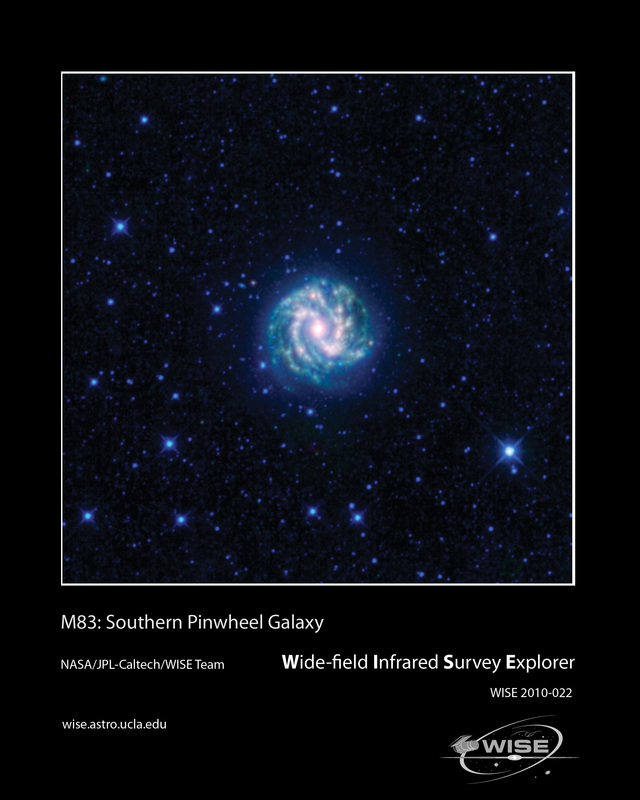 We see the disk of M83 nearly face-on (whereas we see the disk of the Milky Way edge-on since we are inside it). The spiral arms are places where the disk is a little denser with stars and gas, which leads to a higher rate of star formation in them. Where there is star formation, we find more very bright, short-lived stars, and plenty of dust (green and red in this infrared image). M83 also has a central bulge of stars and dust that has a component that is roughly spherical and a component that is shaped like a bar. 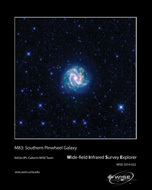 So M83 is referred to as a barred spiral galaxy. Orientation: North is 2.28 degrees left of vertical.